Collecting the addresses of all your guests to send out the wedding invites can be exhausting. Emails back and forth, reminder calls, messages, and unnecessary stress, all just to make sure you get all the addresses on time. Well, no more! 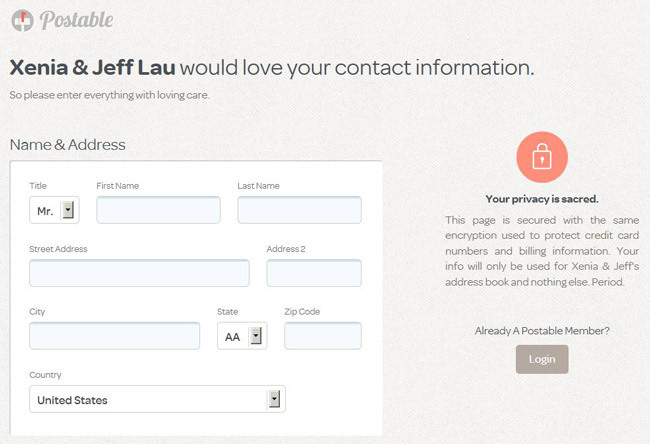 I'm SO glad I found out about Postable last week thanks to an article on Style Me Pretty. 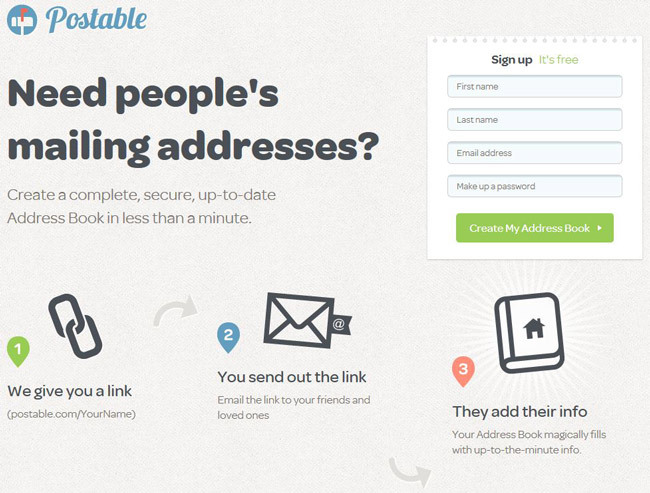 Postable is an online address collecting system, where the bride and the groom have a personalized online address book and the guests fill in their info in a totally secured way. All you need to do is share the link of your Postable account with your friends, and wait for the addresses to come to you! I started sending out the link last week and have been very surprised with all the addresses I collected so far! So please, if you read this and you know you will be invited to either our wedding in Barcelona or our wedding in Hong Kong... kindly fill in the info!!! I hope this will be useful to other brides-to-be. It's definitely being a stress reliever on my side! This is awesome, thank you for sharing! We will definitely do this!!! Wedding Wednesday: I got my wedding dress!